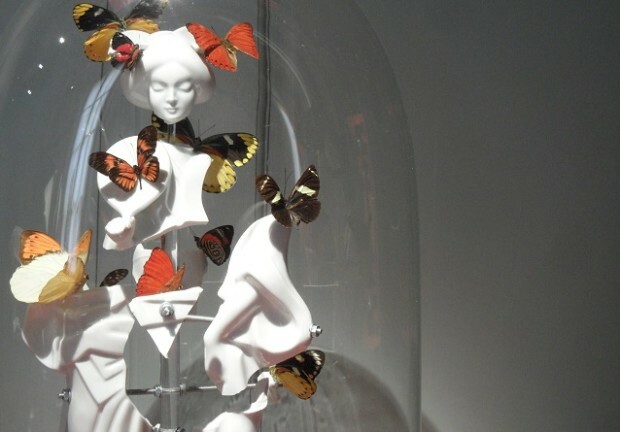 Spring is finally here to stay and the list of events in Geneva, Vaud and nearby France is filled with exciting outings for the whole family. Here’s our list of suggestions, but remember to keep checking our blog as we will be updating it with more events each week! The outdoor park Forestland in Divonne-les-Bains (France) will be open everyday from 10am to 7pm during the Easter holidays (3rd to 26th of April 2015) – if it’s a sunny day this is the place to go for some serious family fun! The Parc Aventure des Evaux in Geneva will also be open during the Easter holidays from the 1st to the 12th of April 2015, everyday from 10am to 7pm. You can find a complete list of Easter weekend activities in Lausanne on the official Lausanne Tourisme website. Good news if you’re planning a bit of gardening this Easter weekend: Schilliger in Gland will be open everyday from Friday 3rd of April to Sunday 31st of May, Sundays and Bank Holidays included. Opening hours will be 9am to 6.30pm (Mon. to Fri.) & 9am to 6pm on Saturdays, Sundays and Bank Holidays. 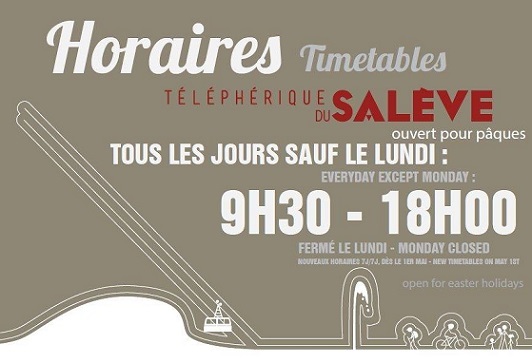 The Téléphérique du Salève will be open everyday during the Easter holidays, except Monday. Go to the top of the Salève mountain for breath-taking views over Geneva and, on Easter Sunday, hunt for the chocolate eggs hidden all around the Téléphérique! Find out about Easter egg hunts, family events and more in our post Easter activities 2015. 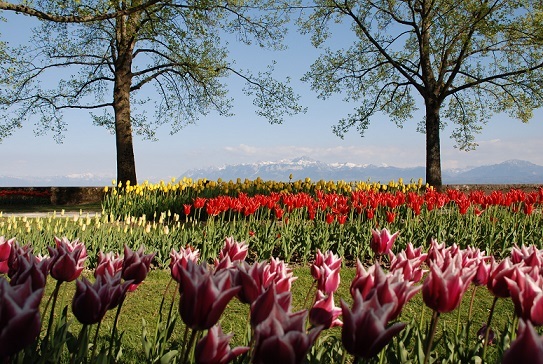 29th March-17th May 2015: Morges Tulip Festival. 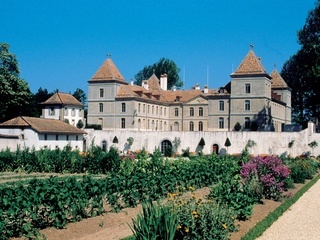 Spring wouldn’t be spring without the Morges Tulip Festival with its 120,000 tulips of 300 varieties, blossoming along the lakeside promenade of the Parc de l’Indépendance in Morges. The first varieties start blooming around mid-April (weather permitting) and there are plenty of activities planned for the duration of the festival. Find out more here. Wednesday 1st April 2015: petits rendez-vous at Geneva’s MAMCO, suitable for ages 5 to 10 and starting at 11.15am. These are free guided tours for kids. 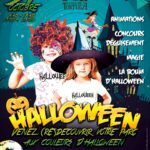 The petits rendez-vous at Geneva’s MAMCO continue every Wednesday afternoon and on the first Sunday of every month, suitable for children aged 5 to 10 accompanied by an adult they are free of charge and require no advance booking. The upcoming petits rendez-vous (all in French) will be: Sunday 5th; Wednesday 8th; Wed. 15th; Wed. 22nd & Wed. 29th of April at 3.15pm. 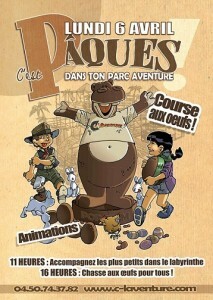 If you have very young children, don’t miss the mini rendez-vous for children aged 2 to 4, accompanied by an adult. The next one will be on Wed. 1st of April 2015 at 3.15pm. They last approx. 20 minutes and are free of charge (in French, no advance booking required). Wednesday 1st April 2015: “La valse des planètes” – Animation du mercredi from age 7 at the Muséum d’histoire naturelle, Genève (1, route de Malagnou). In connection with the current exhibition “Exoplanètes”, these free Wednesday workshops will take place from 2pm to 4.30pm (second floor). Wednesday 1st April 2015: “Comme un poisson dans l’eau”, part of the Mercredis Family at the Musée d’art et d’histoire in Geneva (Rue Charles-Galland 2). Children aged 6 and older accompanied by an adult are welcome every Wednesday at 3pm to discover all about the museum collections in a fun, interactive way. Reserve your places in advance at adp-mah@ville-ge.ch or by phone at 022 418 25 00. 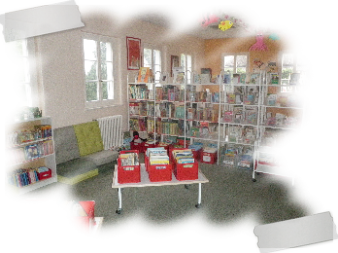 Wednesday 1st April 2015: from 9.30am to 10.30am, “Sonnez les matines” songs in French for children at the Bibliothèque Aux Mille Feuille in Gland (38 grand rue). FREE ENTRY. 1st-12th April 2015: Yatouland Easter, the indoor play centre in Vernier (Chemin de Batailles, 22) will be exceptionally open for the Easter break from 11am until 6pm, except on Wednesday 1st of April when they will open at 2pm. Entry will be 15CHF per child and there will be many fun activities including an Easter egg hunt on Monday 6th of April at 2pm. 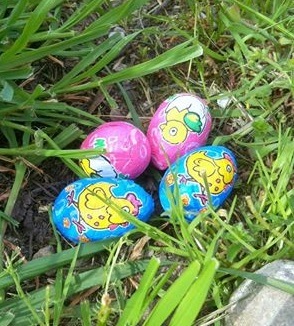 Thursday 2nd April 2015: Décoration d’œufs au Parc Gourgas, decorate your Easter eggs in preparation for the egg hunt on Saturday 4th of April, running from 2.30pm to 5.30pm at the Parc Gourgas in Geneva. 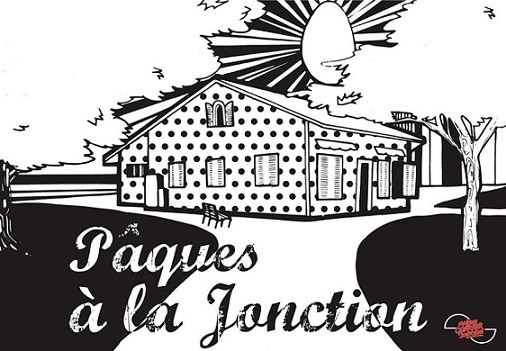 The workshop is organized by the Maison de Quartier de la Jonction. 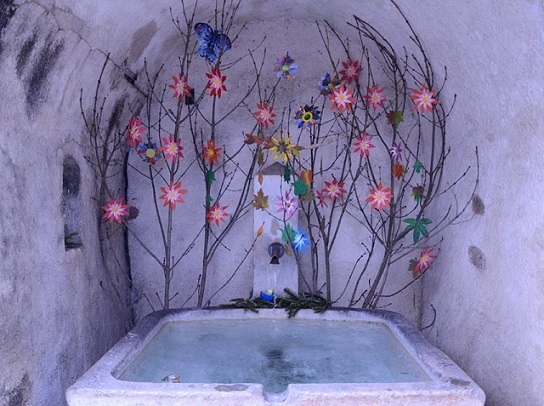 3rd-5th April 2015: Mosaïque de Pâques at the Place de la Navigation in Ouchy (Lausanne). 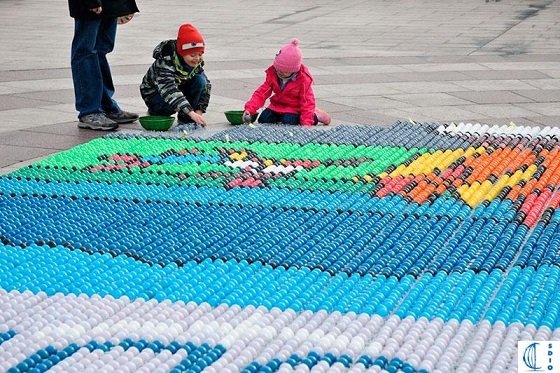 Don’t miss this unique Easter mosaic composed with 38,000 painted eggs, created in support of the ARFEC – Association Romande des Familles d’Enfants atteints d’un Cancer. From the 3rd to the 5th of April, the painted eggs will be sold (CHF 1 each) on the Place de la Navigation with the aim of creating a giant mosaic. There will also be various stalls, events and catering on site. Free admission. All the proceeds from the event will go towards ARFEC’s work enabling families to accompany their children during hospitalisation. 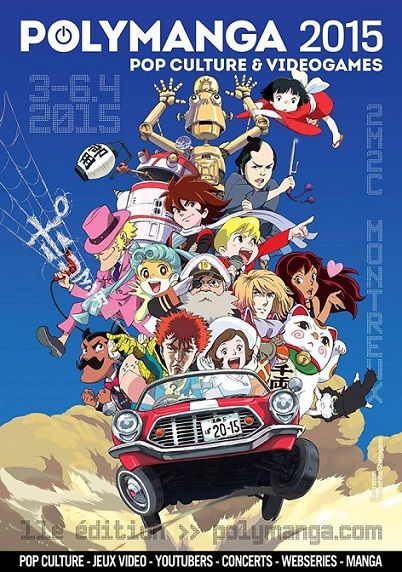 3rd-6th April 2015: Polymanga 2015, an unmissable exhibition for all manga lovers out there, taking place at the 2M2C in Montreux (95 Grand Rue) from 10am to 8.30pm. 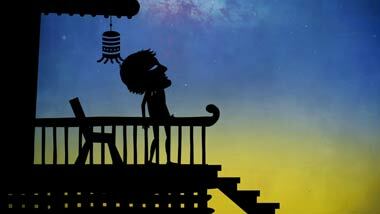 Meet the manga artists, watch special projections or take part in one of their workshops. Tickets are 20CHF. Easter 2015: take a stroll in the pretty lakeside village of Nyon (VD) to look at their decorated Easter fountains, then stop at the superb playground or at the Musée du Léman. If the little ones get a bit peckish, try a crêpe from Tac-OH or a delicious Italian ice-cream from Gelateria Venezia! 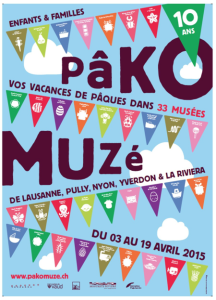 3rd-19th April 2015: Pâkomuzé, family activities in Lausanne, Pully, Yverdon & the Vaud riviera. 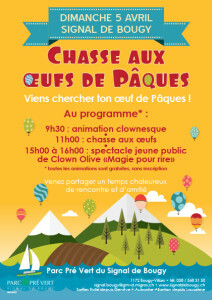 Saturday 4th April 2015: Chasse aux œufs et goûter offert au Parc Gourgas – Easter egg hunt at the Parc Gourgas in Geneva, organized by the Maison de Quartier de la Jonction. The hunt begins at 3pm and from 4pm to 6pm there will be a free snack and activities for children. 4th-6th April 2015: Chasses aux oeufs au Vitam’Ludic, Easter egg hunt at Vitam’ indoor play centre in Neydens (France). starting at 10am and open to children aged 4 to 12. It will take place in the Grands jeux section. 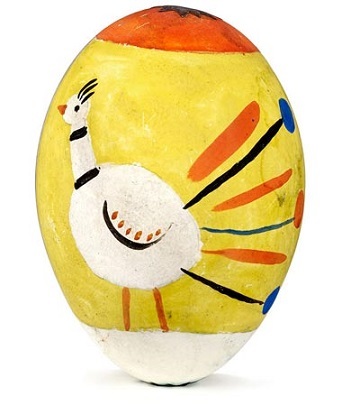 Sunday 5th April 2015: Cot-cot, Cot-cot-codêêêt!, Easter activity for families and children aged 6+ at the newly-reopened MEG museum in Geneva (Musée d’ethnographie de la Ville de Genève, Boulevard Carl-Vogt 65-67). Bring your own cooked & decorated eggs to take part in the best-egg competition starting at 2pm and the egg battle at 4pm – the event will run from 2pm to 6pm in the museum’s auditorium. FREE ENTRY. Sunday 5th April 2015: Chasse aux œuf de Pâques at Parc Pré Vert du Signal de Bougy (VD). The Easter egg hunt will start at 11am but the event kicks off much earlier with a clown show at 9am and will continue ’till later in the day with the show Clown Olive «Magie pour rire» from 3pm to 4pm. FREE ENTRY, no advance booking necessary. You can read more about the Parc Pré Vert du Signal de Bougy in our previous post. 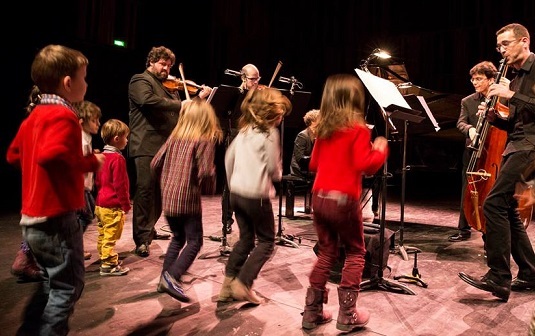 Sunday 5th April 2015: Escale musicale en Afrique, a fantastic free event for ages 2+ at the newly-reopened MEG museum in Geneva (Musée d’ethnographie de la Ville de Genève, Boulevard Carl-Vogt 65-67). There will be 2 sessions: the first from 4pm to 4.45pm (for ages 2 to 4) and the second one from 5pm to 5.45pm (for ages 5+). Little ones accompanied by an adult will meet in the museum’s foyer and gather around to learn some fun songs and music from Africa, with the staff from compagnie Tohu Wa Bohu. FREE ENTRY no advance booking required. Sunday 5th April 2015: Pâkochâto! at Chillon Castle (VD). As part of the PâKOMUZé events, Chillon Castle invites visitors to decorate its Easter tree, in keeping with an old German tradition. An Easter-egg painting workshop is offered to children 4 to 12 years old on Easter Sunday. The event will run from 10am until 4pm, the price is 10CHF per child. Places must be booked in advance via the Pâkomuzé website. 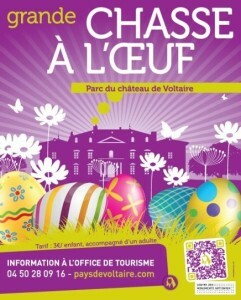 Sunday 5th April 2015: “Grande chasse à l’oeuf, dimanche de Pâques”, a great Easter egg hunt for children under 10 in the lovely gardens of the Château de Voltaire in Ferney-Voltaire (France). Entry is 3 Euros per child, no advance booking necessary. From 10am to 1pm. Monday 6th April 2015: ‘Course aux oeufs de pâques‘ at the Jardin Public in Divonne-les-Bains (France) starting at 3.30pm. Suitable for children aged 1 to 8, bring your own egg baskets! FREE ENTRY, the egg hunt will be cancelled in case of rain or bad weather. Monday 6th April 2015: Easter egg hunt and fun activities for children at C L’Aventure indoor play centre in Annemasse (France). There will be a fun labyrinth run for little ones at 11am (suitable from age 4) and the egg hunt will take place at 4pm. The play centre will be openfrom 10am until 7pm, entry is free for children under the age of 1; 6.50 Euros for children aged 1 to 3 and 10.00 Euros for ages 4 to 12. 7th April 2015: ATELIER DE VACANCES – MARDI AU MUSEE (fr) “A table!”, holiday workshop in French for children aged 7 to 12 at the Château de Prangins – from 2pm to 4.30pm. The cost is CHF 10.- per child, including a snack. Places must be booked in advance at 022 994 88 93. 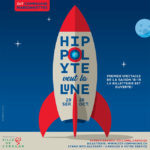 7th-10th April 2015: Vacances à la romaine, kids workshops in French for ages 7 to 12 at the Musée Romain de Nyon (9 rue Maupertuis). These fun sessions will look at the history and customs of ancient Rome, from mosaic art to unravelling ancient coded messages. 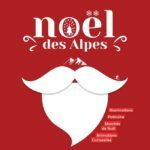 Running from 2pm to 4pm all week, they cost 16CHF per child and must be reserved in advance at 022 361 75 91 or musee.romain@nyon.ch. Click here to download the full programme. 7th-12th April 2015: “Dubé du bout du Bic”, a musical theatre show performed in French and suitable from age 3 about a songs and old tales from Québec. The show takes place at Le petit théâtre in Lausanne (place de la Cathédrale 12). See the official website to book your tickets. Wednesday 8th April 2015: “La valse des planètes” – Animation du mercredi from age 7 at the Muséum d’histoire naturelle, Genève (1, route de Malagnou). In connection with the current exhibition “Exoplanètes”, these free Wednesday workshops will take place from 2pm to 4.30pm (second floor). 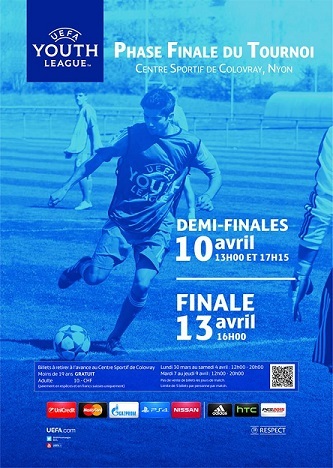 10th & 13th April 2015: cheer on the young talents taking part in the UEFA Youth League at the Centre Sportif de Colovray in ‪Nyon‬ (VD) on the following dates: 10th of April – SEMI FINALS at 1pm and 5.15pm & 13th of April – FINALS at 4pm. 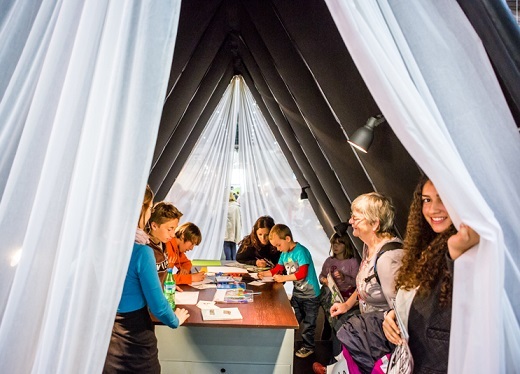 FREE ENTRY for youngsters up to the age of 19; adults 10CHF. 10th-18th April 2015: “Cully Jazz Festival”, a great music festival and the most important jazz festival in Switzerland. Click here for full details and to book tickets. 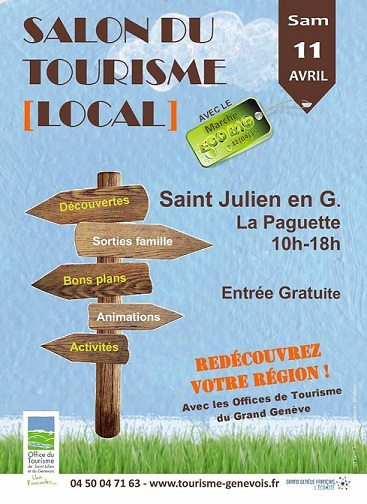 Saturday 11th April 2015: “Salon du tourisme local” at La Paguette in St-Julien-en-Genevois (France). From 10am until 6pm families will be able to learn more about the area and the activities available for them. This fun day will offer many free activities for the whole family, including donkey rides, Nordic Walks for beginners, gym and dance for kids, electric bikes and much more. FREE ENTRY. 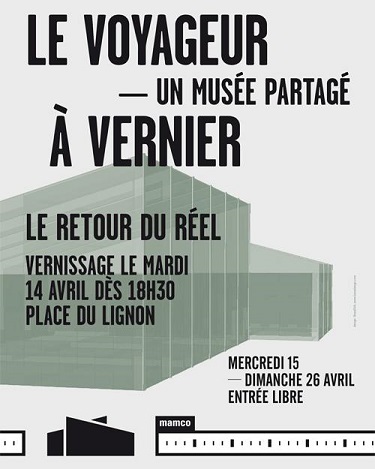 14th April 2015: ATELIER DE VACANCES – MARDI AU MUSEE (fr) “Voyage dans le temps”, holiday workshop in French for children aged 7 to 12 at the Château de Prangins – from 2pm to 4.30pm. The cost is CHF 10.- per child, including a snack. Places must be booked in advance at 022 994 88 93. Wednesday 15th April 2015: “Du tronc à la statue”, part of the Mercredis Family at the Musée d’art et d’histoire in Geneva (Rue Charles-Galland 2). Children aged 6 and older accompanied by an adult are welcome every Wednesday at 3pm to discover all about the museum collections in a fun, interactive way. Reserve your places in advance at adp-mah@ville-ge.ch or by phone at 022 418 25 00. 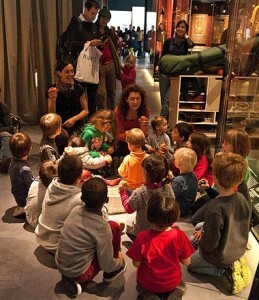 Wednesday 15th April 2014: Le MAH à tout petits pas – Mercredi Family pour les tout-petits free guided tours for children aged 3 to 5 accompanied by an adult at the Musée d’art et d’histoire in Geneva starting at 10.30am. No previous booking required, FREE OF CHARGE. Wednesday 15th April 2015: “La valse des planètes” – Animation du mercredi from age 7 at the Muséum d’histoire naturelle, Genève (1, route de Malagnou). In connection with the current exhibition “Exoplanètes”, these free Wednesday workshops will take place from 2pm to 4.30pm (second floor). 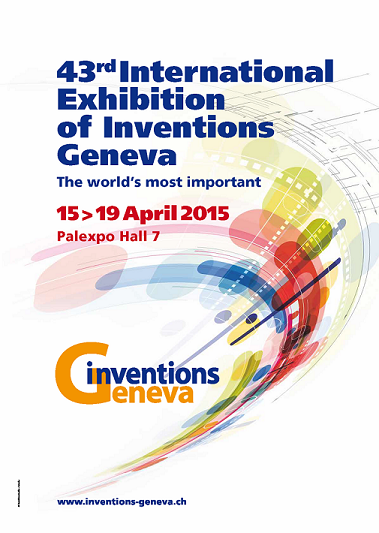 15th-19th April 2015: Salon International des Inventions at Geneva Palexpo. Find out about the latest inventions and gadgets from all over the world, shown here for the first time. 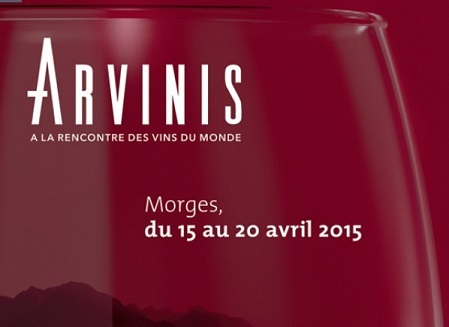 15th-20th April 2015: Arvinis, international wine fair at the Halles CFF in Morges (VD), With over 150 exhibitors and 2,000 varieties of wine from all over the world, this is definitely one to enjoy without the little ones. You won’t be able to buy wine at the fair under Vaud law but you will receive a tasting glass at the entrance so….make sure you use it! 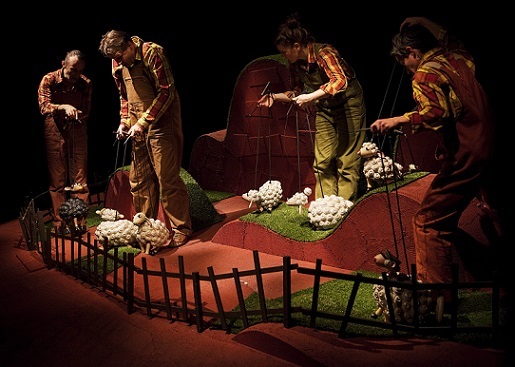 15th April-3rd May 2015: LE VILAIN PETIT MOUTON, an adorable puppetshow in French suitable from age 6 at the Théâtre des Marionnettes de Genève (Rue Rodo 3), which tells the story of the ugly little…sheep! See the theatre’s official website for prices and to reserve your places. 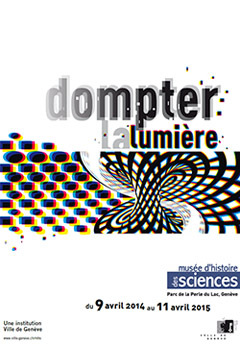 15th April 2015-May 2016: Exposition de la maquette de la ville de Genève. 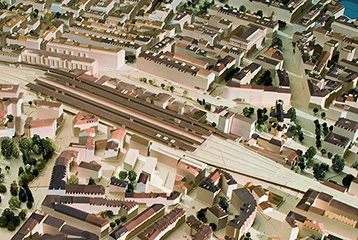 The architectural model of the city of ‪Geneva‬ looks pretty awesome, it comprises of 145 modules and it took 40 years to complete! 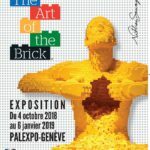 It is now on display for the first time and open to the public on Wednesdays, Thursdays, Fridays and Saturdays from 11am until 6pm at the “Exposition de la maquette de la ville de Genève” — 25 rue du Stand — Geneva. The exhibition opens on the 15th of April 2015 and will run until May 2016. You can call +41 22 418 20 63 for more info or to book a guided tour. 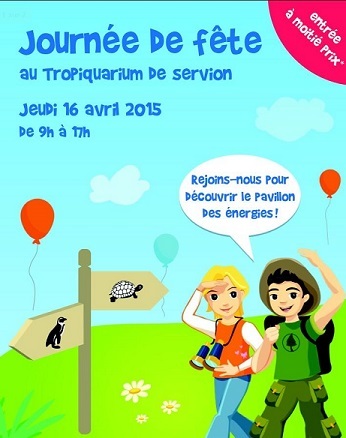 Thursday 16th April 2015: Activity Day at the Tropiquarium de Servion with half-price entry tickets. The day will run from 9am until 5pm with fun activities and a competition for the re-opening of the Pavillon des energies by Romande Energie. Suitable from age 6. 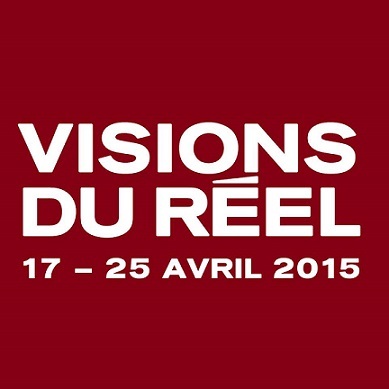 17th-25th April 2015: Visions du Réel, Nyon’s international film and documentary festival. When we first moved to Switzerland, I applied to work as a bénévole during this festival and a couple of years later I interviewed the organizers for Swiss News – the insight I had was such a privilege and great fun too! Visions du Réel is definitely an appointment not to miss if you love thought-provoking and original films dealing with the reality and contradictions of this amazing world of ours. Check the official website for full details of the daily programme which will be unveiled soon. Saturday 18th April 2015: Family Concert #3 by Geneva Camerata. Another great family where children will be able to pick from a list of music jokes, fun activities proposed by the musicians and much more! The concert will be held at the Salle Frank-Martin in Geneva at 11am (Collège Calvin. Rue de la Vallée 3). Saturday 18th April 2015: Cultures animées, free Animatou screenings suitable from age 8 in the Auditorium of the the MEG museum in Geneva (Musée d’ethnographie de la Ville de Genève, Boulevard Carl-Vogt 65-67). From 11.15am until midday. FREE ENTRY no advance booking required. 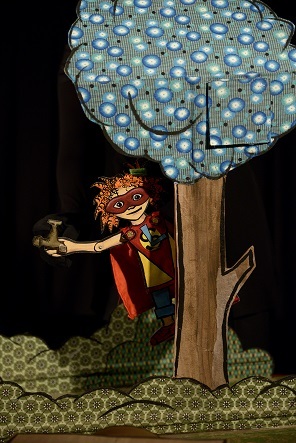 18th-19th April 2015: Super Elle, a fun theatre show in French suitable from age 2 at the Théâtre du Loup in Geneva (10 Chemin de la Gravière). The show tells the story of little Lisa, who one day receives a fantastic present: a super-hero costume! Performances will take place at 11am and 3pm. 19th & 22nd April 2015: “Magie? Magie!”, a fun clown show in French suitable from age 4 at Le Manège in Onex (Route de Chancy, 127). The show starts at 2.30pm on both days, ticket prices start at 8CHF. 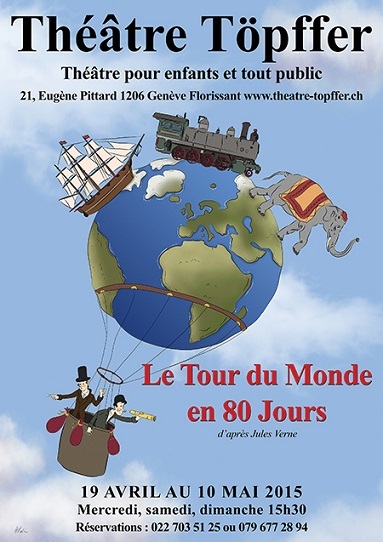 19th April-10th May 2015: “Le tour du monde en 80 jours”, the timeless adventures of Phileas Fogg are brought to the stage in French at the Théâtre Töpffer in Geneva (21, Avenue Eugène Pittard). Performances will take place on Wednesdays, Saturdays & Sundays at 3.30pm. Get there in advance to get the best seats when the doors open! 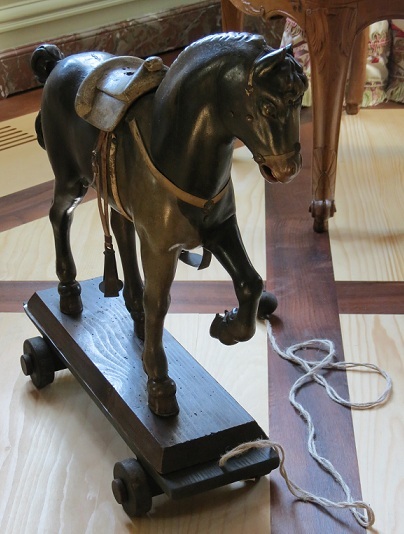 Wednesday 22nd April 2015: “Tout ce qui brille…”, part of the Mercredis Family at the Musée d’art et d’histoire in Geneva (Rue Charles-Galland 2). Children aged 6 and older accompanied by an adult are welcome every Wednesday at 3pm to discover all about the museum collections in a fun, interactive way. Reserve your places in advance at adp-mah@ville-ge.ch or by phone at 022 418 25 00. 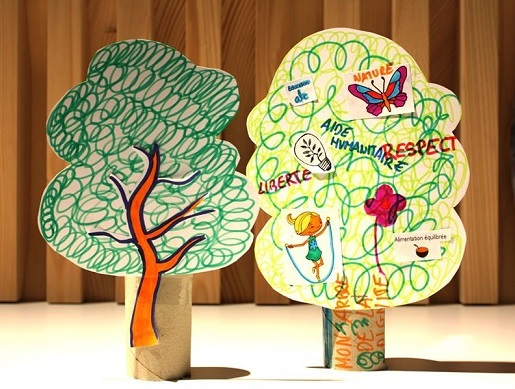 Wednesday 22nd April 2015: “L’ortie, aïe ça pique!” – Ateliers Verts du Jardin Botanique in Geneva for kids aged 8-11 (in French). What better place than Geneva’s beautiful botanical gardens to learn more about nature, micro-organisms and plants ? These fantastic workshops take place on Wednesdays from 2pm to 4.30pm and cost 12 CHF per child. 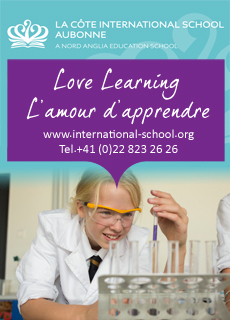 Places must be booked in advance at 022 379 70 68. Click here to download the full programme. There will be another workshop this month on Wed. 29th of April 2015. Wednesday 22nd April 2015: “La valse des planètes” – Animation du mercredi from age 7 at the Muséum d’histoire naturelle, Genève (1, route de Malagnou). In connection with the current exhibition “Exoplanètes”, these free Wednesday workshops will take place from 2pm to 4.30pm (second floor). Wednesday 22nd April 2015: from 9.30am to 11am, “It’s storytime!” storytime in English for children at the Bibliothèque Aux Mille Feuille in Gland (38 grand rue). FREE ENTRY. 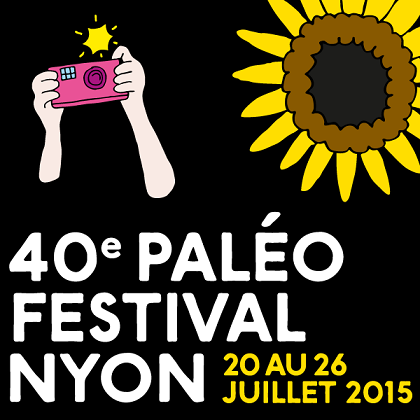 Wednesday 22nd April 2015: tickets for this summer’s Paléo Festival Nyon go on sale today at midday ! The Paléo Festival is one of the major open-air music festivals in Europe, this year’s edition will run from the 20th to the 26th of July 2015 – make sure you don’t miss it. 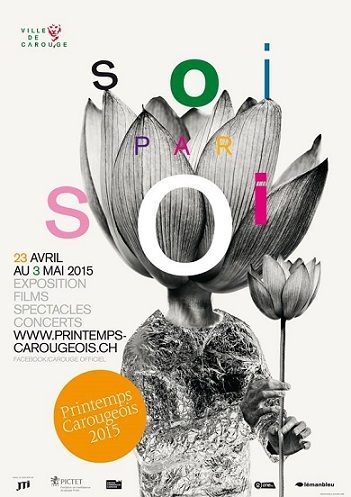 23rd April-3rd May 2015: Printemps Carougeois – Carouge’s spring festival will kick off with an impressive line-up of concerts, dance shows, workshops and kids’ shows. 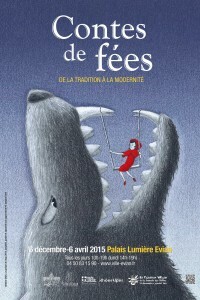 There will be 4 “Le coin des enfants” activities for children, take a look at their online programme for full details. 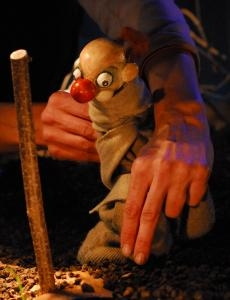 24th-26th April 2015: “Vy” puppet show in French for ages 8+, part of the Printemps Carougeois line-up. The show will take place at the Théâtre de Carouge, Salle Gérard-Carrat (Rue Ancienne 57) at 8pm on Friday; 5pm on Saturday and 11am on Sunday. 24th-26th April 2015: Expo Juniors, kids’ activities fair at Geneva Palexpo. All workshops, shows, activities and demonstrations are free of charge once you have purchased the entry ticket. Saturday 25th April 2015: guided tour for children aged 8 to 12 and creative workshop at the Musée international de la Croix-Rouge et du Croissant-Rouge in ‪Geneva (Avenue de la Paix 17). The tour and workshop will run from 2pm until 4pm, tickets are 5CHF per child and 10CHF per accompanying adult. Places must be reserved online in advance. Saturday 25th April 2015: “Lecture ludique de contes” for children aged 5+ accompanied by an adult at the Le Voyageur — Place du Lignon, 1219 in Le Lignon. 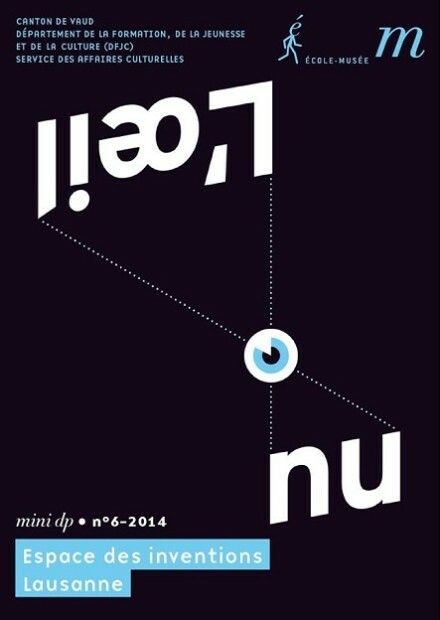 This story-time has been organized by the MAMCO modern art museum in Geneva to celebrate their 20th anniversary. Story-time will run from 3.15pm to 4pm. FREE ENTRY. Saturday 25th April 2015: Cultures animées, free Animatou screenings suitable from age 8 in the Auditorium of the the MEG museum in Geneva (Musée d’ethnographie de la Ville de Genève, Boulevard Carl-Vogt 65-67). From 11.15am until midday. FREE ENTRY no advance booking required. Saturday 25th April 2015: “Piccoli sentimenti”, puppet show for kids in French, suitable from age 3 at the Espace Vélodrome in Plan-les-Ouates (60 Chemin de la Mère-Voie). Tickets are 10CHF per person. Sunday 26th April 2015: Ateliers autobiographiques for ages 2 to 4 at the Centre musical Robert Dunand in Carouge (Rue du Marché 9). 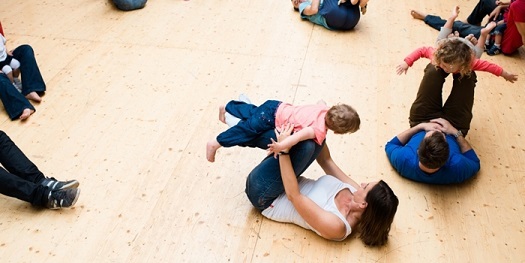 Children aged 2 to 4 accompanied by a parent will share a music & movement workshop covering their important life stages so far. The workshop will start at 10am and tickets are 5CHF. Wednesday 29th April 2015: “La forêt des beaux-arts”, part of the Mercredis Family at the Musée d’art et d’histoire in Geneva (Rue Charles-Galland 2). Children aged 6 and older accompanied by an adult are welcome every Wednesday at 3pm to discover all about the museum collections in a fun, interactive way. Reserve your places in advance at adp-mah@ville-ge.ch or by phone at 022 418 25 00. Wednesday 29th April 2015: “La valse des planètes” – Animation du mercredi from age 7 at the Muséum d’histoire naturelle, Genève (1, route de Malagnou). In connection with the current exhibition “Exoplanètes”, these free Wednesday workshops will take place from 2pm to 4.30pm (second floor). Wednesday 29th April 2015: “Qui a peur des plantes carnivores?” – Ateliers Verts du Jardin Botanique in Geneva for kids aged 8-11 (in French). 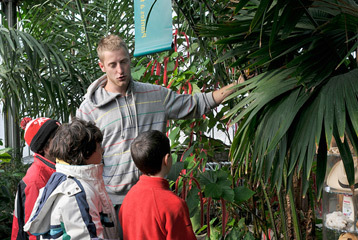 What better place than Geneva’s beautiful botanical gardens to learn more about nature, micro-organisms and plants ? These fantastic workshops take place on Wednesdays from 2pm to 4.30pm and cost 12 CHF per child. Places must be booked in advance at 022 379 70 68. 29th April-3rd May 2015: 29th Geneva Book & Press Fair at Geneva Palexpo. 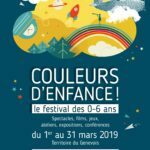 The Geneva book fair is going to be filled with great activities for children, including yoga for kids, comics workshops, story-times and much more. Take a look at the official programme for full details.